The Calidore String Quartet’s “deep reserves of virtuosity and irrepressible dramatic instinct” (New York Times) and “balance of intellect and expression” (Los Angeles Times) have won it accolades across the globe. 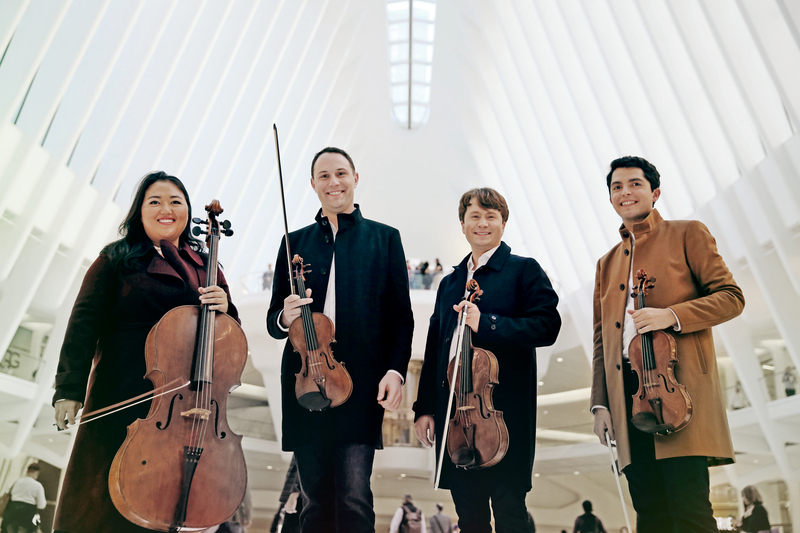 The Calidore String Quartet—violinists Jeffrey Myers and Ryan Meehan, violist Jeremy Berry, and cellist Estelle Choi— has enjoyed an impressive number of awards, including a 2018 Avery Fisher Career Grant and a 2017 Lincoln Center Emerging Artist Award. The Calidore made international headlines as the winner of the $100,000 Grand Prize of the 2016 M-Prize International Chamber Music Competition, the largest prize for chamber music in the world. Also in 2016, the quartet became the first North American ensemble to win the Borletti-Buitoni Trust Fellowship and was named BBC Radio 3 New Generation Artists, an honor that brings with it recordings, international radio broadcasts, and appearances in Britain's most prominent venues and festivals. This season continues the Calidore’s three-year residency with the Chamber Music Society of Lincoln Center’s Bowers Program (formerly CMS Two). The Calidore String Quartet performs in the most prestigious chamber music series and venues throughout North America, Europe, and Asia such as Carnegie Hall, Lincoln Center, Kennedy Center, Wigmore Hall, Berlin Konzerthaus, Seoul’s Kumho Arts Hall, and at many significant festivals, including Verbier, Ravinia, Mostly Mozart, Music@Menlo, Tippet Rise, Rheingau, East Neuk, and Festspiele Mecklenburg-Vorpommern. 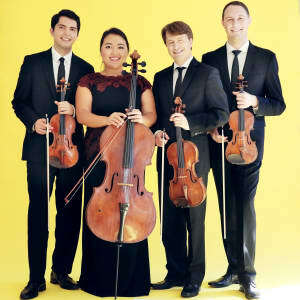 In addition to winning the M-Prize, the quartet has won grand prizes in virtually all the major US chamber music competitions, including the Fischoff, Coleman, Chesapeake, and Yellow Springs competitions, and captured top prizes at the 2012 ARD Munich International String Quartet Competition and Hamburg International Chamber Music Competition. The Calidore String Quartet’s debut album for Signum Records, including quartets by Mendelssohn, Prokofiev, Janácek, and Golijov, will be released in October 2018. The quartet’s other three commercial recordings feature quartets by Tchaikovsky and Mendelssohn recorded live in concert at the 2016 Music@Menlo festival, a debut album of quartets by Mendelssohn and Haydn, and an album on the French label Editions Hortus, with music commemorating the World War I centennial. The Calidore serves as visiting guest artists at the University of Toronto and the University of Delaware.